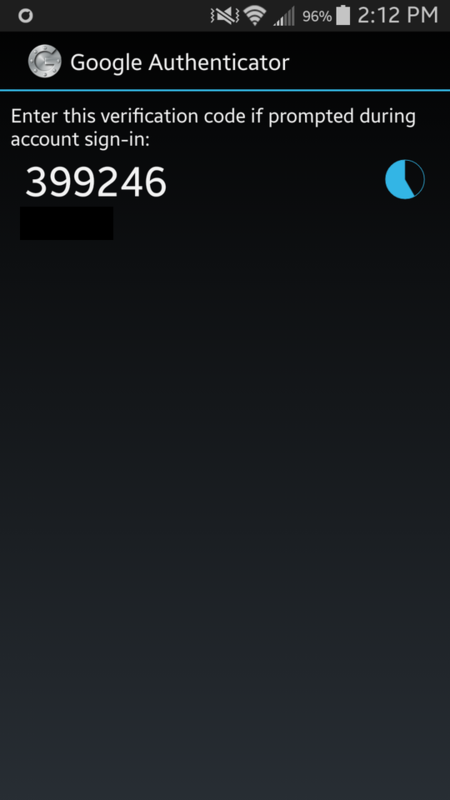 Two-Factor Authentication to your server with Google Authenticator! A web server is a place which holds various important stuffs, chunks and chunks of data and such which are very essential to keep a website up and running! For me, personally I need much larger space for privacy when it comes to the things that I own whether it be a server, a car, an apartment or whatever! I personally cannot secure everything that I own but definitely have tried my best and with my utmost knowledge to protect my hard-work. I would definitely not want someone else accessing my server, not because I’ve some super secret stuff but I just don’t like people crossing my boundaries of privacy. Therefore, today I installed a great module in all 5 servers that I own, hardening the security and such which I think is very secure as I am trusting my server access handling to Google! The security of our servers is of an essence and not everyone can afford to have a bunker like server. Even if a medium such as Email verification codes are to be used, we have no idea of who accesses it and personally I believe to be very vulnerable. I am not saying it is very easy to get in someone else’s email address by any means, it’s just that they are able to. I own 5 different servers, 2 in United States and other 3 somewhere else and I feel insecure about my servers as its been couple months I started using Linux and I am not that good yet. Today I learned about Two-factor Google Authentication system which requires you to have an operable server and a smartphone! That’s it! So using one of my disposable CentOS server, I started a personal campaign to install Google Authentication in all 5 servers that I own. I started by updating my servers, mind you, I had 5 simultaneous terminals open in my personal computer. Considering all my servers use CentOS, it was quite easy for me. If you get any errors, execute yum clean all command in your terminal. After updating my system, I installed pam-devel which is more like a permission set for Linux which manages authentication policies. Considering we will be managing and limiting our SSH access, I ensured ntpd is up and active which handles the TOTP security (Time-based One-time Password). # Check if the service is already installed! Normally it is NOT! NTP and NTPD are two different things although have similar agenda. D in the end of NTPD stands for daemon which means it’s a background process which handles the actual NTP. After following the above commands, let us head towards some compile and conquer steps. After changing your directory to the extracted google-authentication directory, you should now compile and create install using ..
Now, go back to ~ root directory using cd ~ and run google-authenticator by running the command line ..
Read and input your choices when it asks for (y/N) options, there are around 3-4 questions, I input yes on all of them. After the first yes input, google-authenticator provided me with vital information such as secret key, validation codes and emergency scratch codes. Copy them in a notepad or make a hard copy of it or whatever. The secret key and the emergency scratch codes are the most important ones, if you ask me! Append the line below at the top of the file /etc/pam.d/sshd. The orders matter. 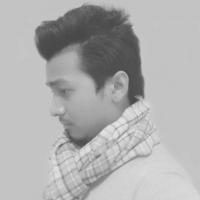 Use nano or vim editor. Now that we are all set, do not logout from the SSH yet. Open your smartphone, download Google Authenticator application from your application store (iOS or Android). I use android therefore, play store for me. Now you can logout but don’t forget to keep your phone ready! 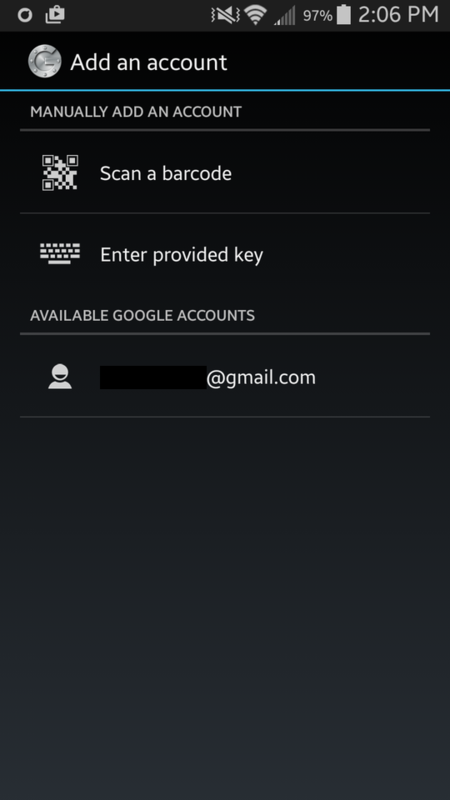 In the Add an account screen, select Enter provided key and enter the secret key that the google authenticator provided you with. All done? You should have something like this in your smartphone when you try to access the SSH. The pie-chart like figure is the 30 second window for you to fully login to your system before you are assigned with different verification code! The main server password remains the same! ~ Enjoy and Good Luck securing your server! Speed up your site with Varnish Cache!